Select the Electronic Delivery option when adding the Crystal Reports software to the shopping cart. We will provide a download link and your Crystal Reports license key by email typically within 4 business hours. Some orders may require additional time to process. 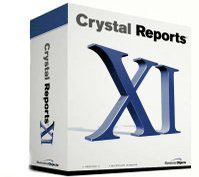 Physical copies of Crystal Reports software with installation media are no longer available.